Click here to view "Humanism and Its Aspirations: Humanist Manifesto III," as published by the American Humanist Association. 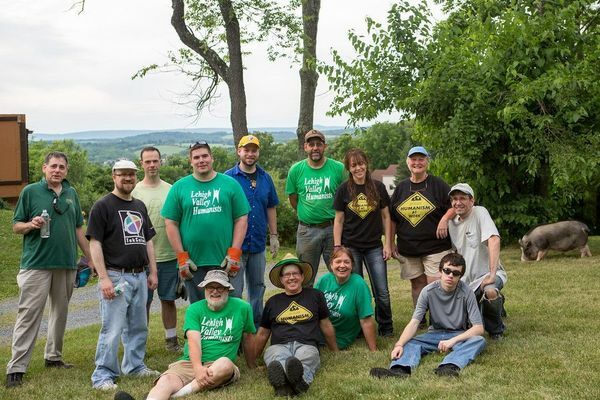 Founded in 2008, the goal of Lehigh Valley Humanists is to promote Humanism and foster the building of a vibrant community dedicated to a positive ethical life-stance in the Lehigh Valley area. Lehigh Valley Humanists seeks to educate our members and the community about Humanism and the important social and ethical issues of our day. We host engaging social activities, community service projects, and speakers of interest who stimulate discussion, contemplation, and action among our members and friends. We promote human rights, civil liberties, the scientific method, and the democratic process in an open, secular, and humane society.